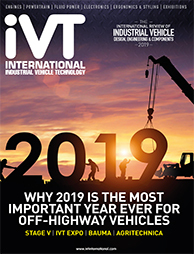 Bill Van Amburg, executive vice-president, Calstart, the USA’s industry association working to develop cleaner, more efficient transportation solutions, talks about the importance of collaboration across the industry to meet ever-more stringent emissions requirements. Can you tell us why you feel iVT Expo is important to the industry? It’s about both goodwill and good engineering, but it’s also much more than that. It’s an opportunity to innovate and start the process of creating new products. It’s the opportunity to share ideas and meet potential partners. Down the years I’ve met some great, innovative companies at events such as this, that we’ve been able to develop projects with. What main issues will the conference address? The big elephant in the room is climate change, and that’s what we have to address over the next couple of decades through great product design, engineering and creative thinking. The question is: how do we do the work needed for society without destroying society? It requires a new generation of thinking and the conference is where we can get those creative juices flowing. The issues we need to solve also require more progressive thinking about aspects such as connected technology, augmented technology and efficiency, so this is an opportunity to discuss how we can address those issues – and then address them. So what will you be addressing when you’re there? One of the big topics for me this year is expanding markets. We’ve been developing a new strategy with our industrial partners in the USA that we describe as a ‘beachhead strategy’: establish a first application of success for a product, then move across to adjacent and maybe larger markets. 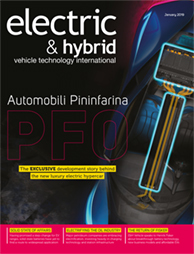 In automotive terms, this covers electrification and knock reduction. With larger vehicles the big success story has been buses, so the next challenge is to integrate that technology into vehicles such as yard tractors, industrial lifts and medium-duty trucks. It turns out we can transfer technology more laterally than we once thought possible. What do you expect to come out of the event? One thing I hope to find again is that great nugget – a company working out of the box. I’ll be scouting for the next best-in-class player who’s redefining expectations. This could be in areas like smaller, more efficient electric motors, or new applications for existing technology. Given the environmental issues and technological challenges we face, is it more important than ever to meet up annually on an ongoing basis? If it weren’t for the logistics, it would be great to meet twice a year! The pace of change is so fast, and there is so much new thinking all the time, that this sort of opportunity to meet and share ideas is only going to get more important. For me, the key will be integration. We tend to stay in our own ‘lanes’, so we need to break down those barriers between us and open up new pathways for greater integration and more connected technology to make us more efficient. We have to keep looking ahead. 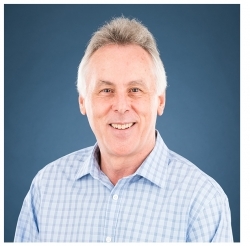 Bill Van Amburg will give a keynote presentation entitled Beachheads for change – the global urban drive to zero and its impact on industrial vehicles at the Electric & Hybrid Industrial Vehicle Technology Conference. Click here to book your delegate pass, which gives you access to all four conferences. 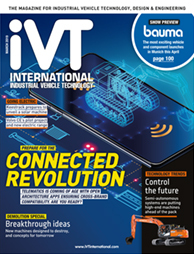 For more from Van Amburg, commenting on EU Stage V emissions regulations and what the future holds in this area, turn to page 32 of the November issue of IVT International magazine, available on-line for free.